Big weights of tench are not uncommon on the Narrows and in the last Ramsey & District club match of the season there were plenty of good tench caught. Matchwinner Liam Darler had a great day’s sport on peg two. He caught 13 tench and a few perch on a chopped worm and caster approach to finish on 45lb 10oz. Andrew Kilby came second with six tench for 19lb 3oz, then it was Paul Kilby with 16lb 10oz and Keith Rayment with 7lb 2½oz. On Monday the club ran an Angling Trust Pike Qualifier fished on Ramsey St Marys which saw Keith Rayment with 19lb 4oz out in front. He had two pike, the biggest of the day weighing in at 14lb. Runner-up was Bob Tyrkot, who had four fish for 17lb 6oz, and in third place with two fish weighing 7lb was Rob Wright. 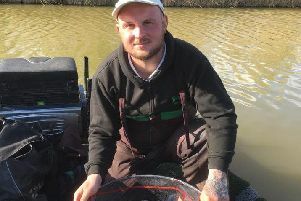 Deeping St James were on the fish refuge at Stibbington on Sunday and Mike Smith topped the field with 6 lb 7 oz of bleak on peg 13. Next came Peter Molesworth with 4lb 9oz and Alan Jopling with 2lb.